A stunning centre, set in a modern, glass fronted building. Offices are available on flexible terms and arrive fully furnished. There is an abundance of natural light owing to the large windows in the work-spaces. Professional amenities include spacious meeting rooms, high-speed internet, reception service and lounge areas. 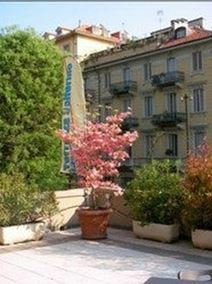 The location is well situated in a vibrant area of central Turin. Transport links are numerous and substantial, easily accessible via road, bus and rail links. Local amenities surround the area as well, including plenty of local restaurants, bars, hotels and sports centres. Located in one of Turin's most affluent areas, this business was previously home to Turin's well known newspaper Gazzetta del Popolo, followed by L'Oreal Italy. It could now be the future of your business. 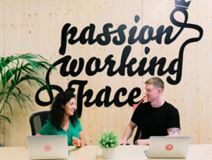 This modern and innovative space offers a range of work spaces you can choose from, including fully furnished offices, collaborative coworking spaces and meeting rooms. The interior is as stunning as the exterior, with open spaces filled with plenty of natural light. The atmosphere is one that promotes productivity. Terms are flexible and include a variety of services such as reception services from multi-lingual staff, cleaning services and access to an outdoor garden space. There is an on-site restaurants and plenty of more options to choose from in the neighbourhood. Turin's train station is within walking distance and a bike sharing station is available on-site. This centre offers 3000 square metres of large, adaptable spaces on a range of lease lengths. High speed internet, meeting rooms which can facilitate up to 40 people, event space, reception, kitchen and lounge areas and a large parking facility are provided within the centre. This centre is ideal for networking, with stylish common areas. It is located close to public transport links and a short drive from Turin airport. Centrally located, this stunning Art Decó building offers unique offices elegantly decorated. The building offers a unique combination of elegance, modern technology and advanced facilities, including a large terrace for parties and parking area. With 24 hour access, you can collaborate through any hour of the day! It is surrounded by the best sites, shops and restaurants of Turin and enjoys first class communication and transport links. With a range pf prestigious and premium office spaces in the heart of Turin, this business centre is found beside the remarkable Parco del Valentino. The space offers great office solutions with well designed event spaces and meeting rooms in various sizes. Members can be use relaxing break out spaces and with 24 hour access, work around the clock. The city centre is easily accessed with a range of public transport, and the building is just a short walk away from supermarkets, eateries and fitness centres. Being close to the Lingotto exhibition center, this flexible office space is ideal for start-ups and anyone working in the automotive, science or aerospace sectors. The central Turin location is also close to the Colosseum theatre and the Olympic Stadium, and just a few steps from a subway station making it very commuter friendly. The center features great on-site facilities including business lounges and meeting rooms, in which you can convene collaborative meetings and training seminars within a fantastic space. Provided with high professional reception staff, this centre offers high standard offices equipped with meeting rooms, secretarial services and virtual office facilities. 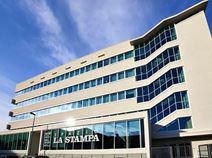 The centre is located in the heart of Turin, close to railway stations and the major motorways junctions. Commuting to and from work will always be quick and easy, and there are events venues close by where you can deliver presentations and host conferences. Located in the prestigious former FIAT car factory tenants of this business centre benefit from a well-known business address just south of central Turin. Complementing the executive office space and co-working areas are on-site amenities that include a hopping mall, a concert hall, a helipad and a multiplex cinema. The center offers fully furnished and equipped office space, private offices and co-working areas on fully flexible terms. Located in a prestigious area of Turin, this antique and historic building is within walking distance from the most famous monuments of the city, surrounded by restaurants, theatres and fashion shops. The Building offers fully refurbished offices, business lounge and cybercafé. Other brand name businesses based here include chocolate and coffee manufacturers. It has excellent transport links and is close to the main railway stations.